May 31, 2016 / Sarah_Beth / Comments Off on Who Runs the World? Another year, another patriotic holiday, another wearing of my favorite tank top. I paid about $30 for this shirt, which, for me, is basically an astronomical price for something that doesn’t even have sleeves. But, I’ve worn and loved it so much, I’ve definitely gotten my money’s worth. Whenever Memorial Day and Veteran’s Day roll around, I enjoy celebrating and reflecting. However, I never quite know what to say that doesn’t sound trite – especially on Memorial Day when those who I would thank are already gone. So, although my social media accounts did not reflect my gratitude yesterday, to all those who paid the ultimate price for our freedom, we remember and honor you. And we celebrate in the way that you would want us to – with laughter, loved ones, good food, and freedom. 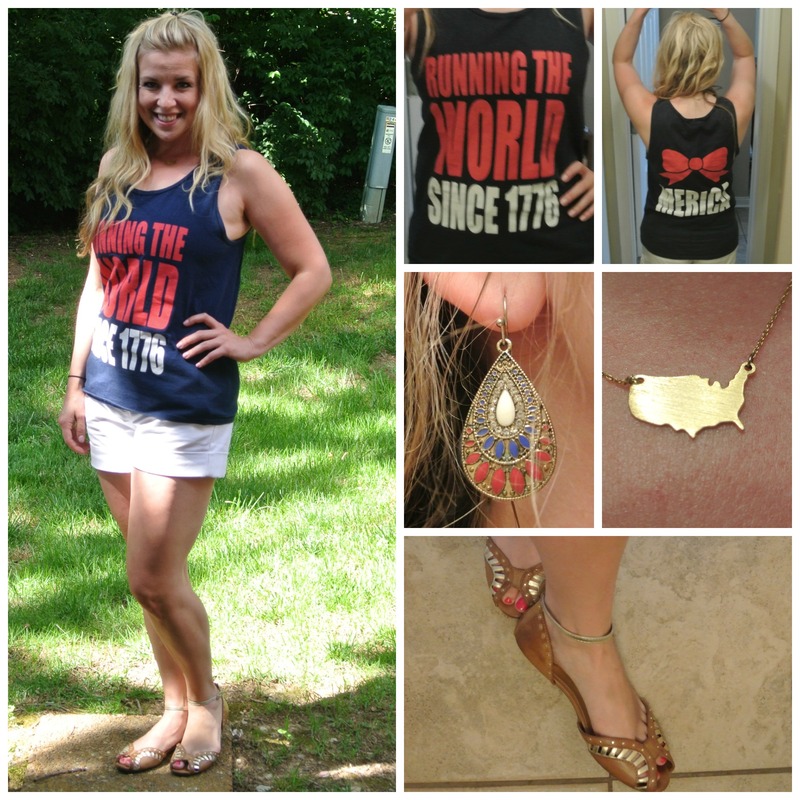 And tank tops that remind everyone that America is the greatest – because of those brave men and women who made it so. P.S. Forgive the poor lighting in this picture. I guess I need to find more than one spot to take pictures if I’m going to take them at inconsistent times. P.P.S. If you don’t understand the shirt, please don’t tell me. My history teacher heart can’t bear it.